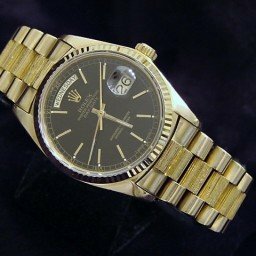 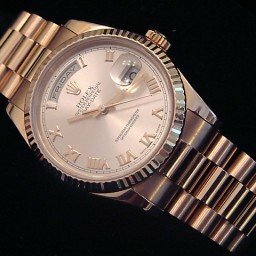 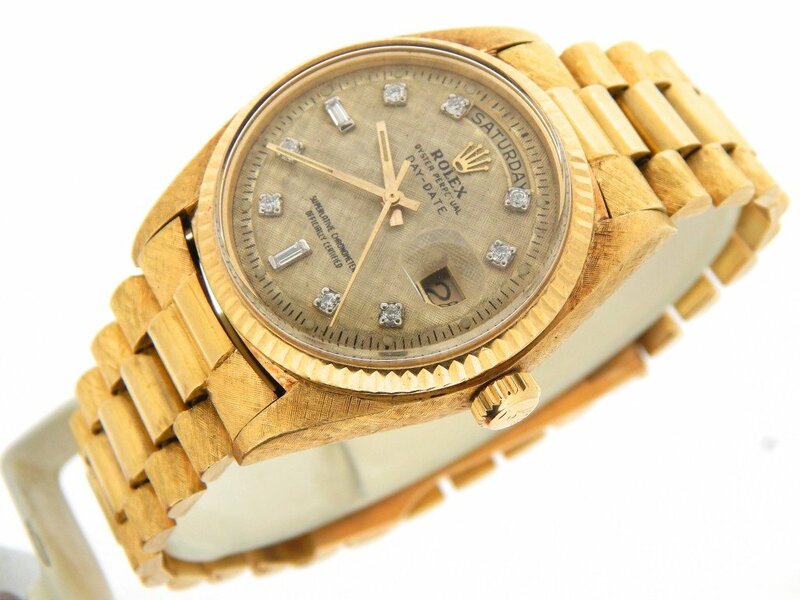 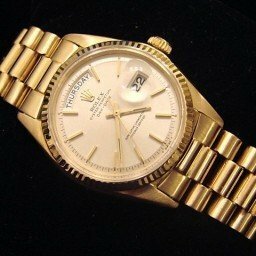 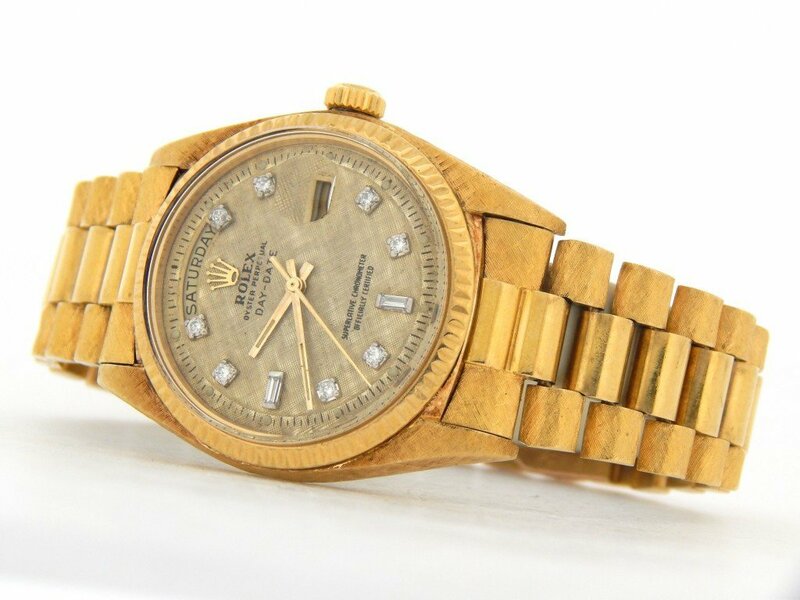 BeckerTime is proud to offer this impressive Men's 36mm GENUINE ROLEX Solid 18k Yellow Gold Day-Date Florentine Finish President w/Gold linen Diamond Dial Ref #1803 that is guaranteed to impress! 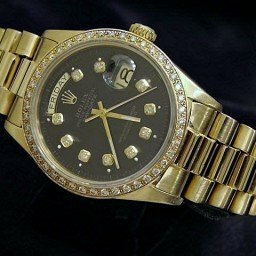 Dial Rolex dial has been professionally refinished in a gold linen (Florentine) texture with 8 round and 2 baguette genuine diamonds custom added to the dial. 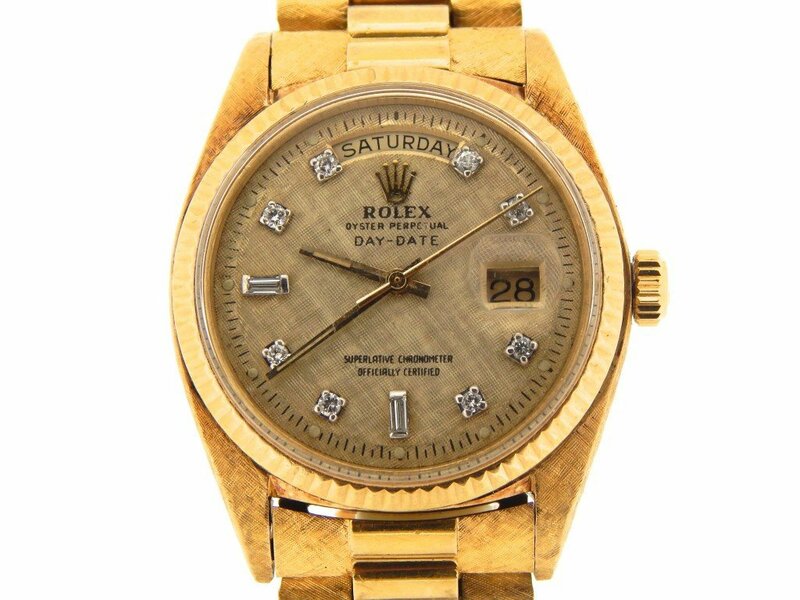 The finish on this dial is a beautiful compliment to the Florentine finish on the band and case. 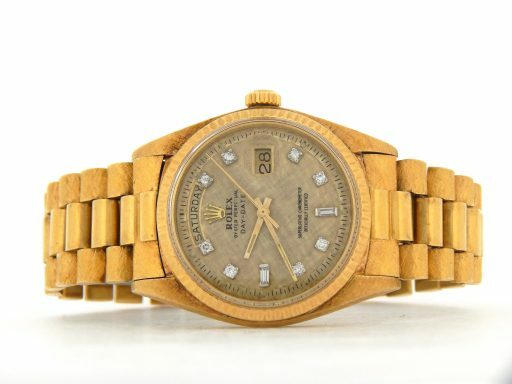 Case Rolex solid 18k yellow gold case is in fair condition. 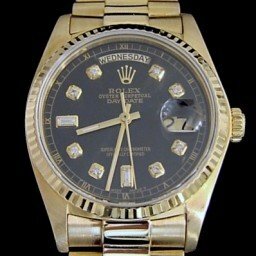 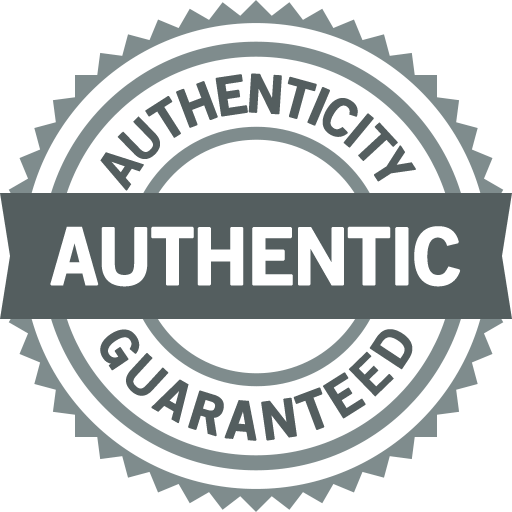 The lugs have the special custom added Florentine finish. 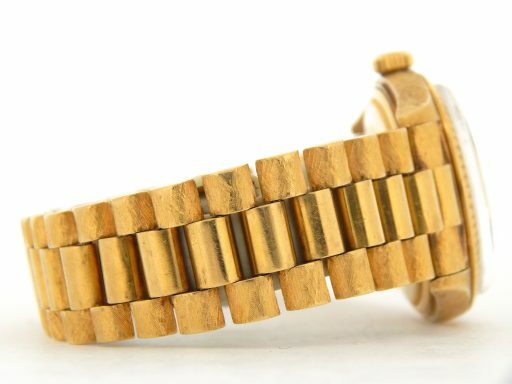 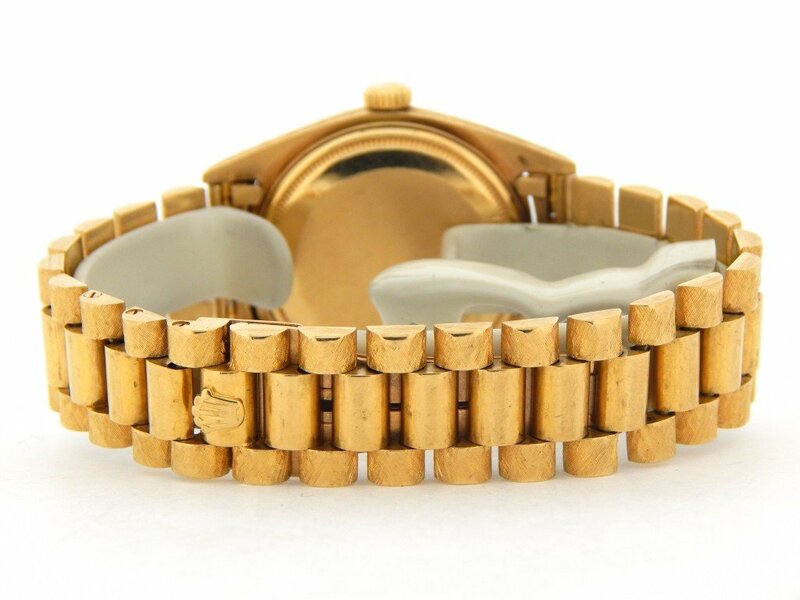 Band Rolex Solid 18k yellow gold presidential bracelet with hidden clasp is in excellent condition with some stretch/wear between the links. 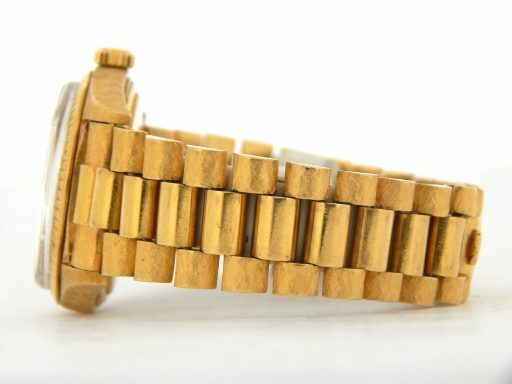 he outer links have the special custom added Florentine finish that perfectly match the case.